Moog Music has officially announced the return of their beloved analog delay, in the form of the new MF-104Z delay unit. This is definitely a “luxury” model, though: US$729 buys you one second of delay. It’s a classic, but it comes at a price. 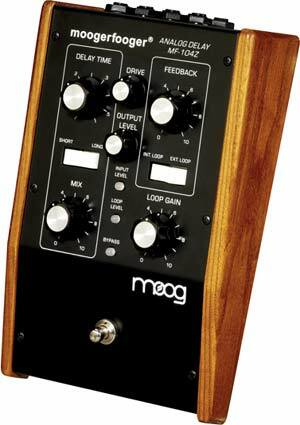 Nothing on the Moog site yet, but if you’re at NAMM you can check it out in person; see the press release at Harmony Central.